R & R Engineering Ltd were appointed by Buckingham Group to carry out the refurbishment of the existing canopy and supply and install an additional bay to replicate the existing. 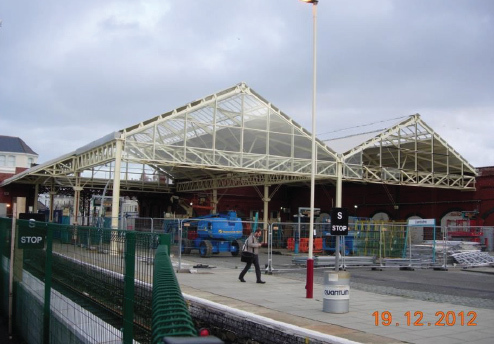 The existing steelwork was subject to considerable deterioration and as such a considerable amount of strengthening works was required to maintain the structures integrity whilst preserving the canopies original features. 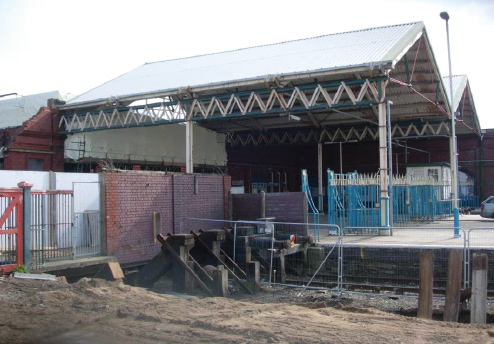 In addition to the main canopy was the refurbishment of the front concourse, station building and a new ticket office building. On completion of the repairs the existing roof coverings were removed and replaced with the integration of ETFE roof lights at the ridge. All of the steel erection was carried out during night possessions under the control of Network Rail.